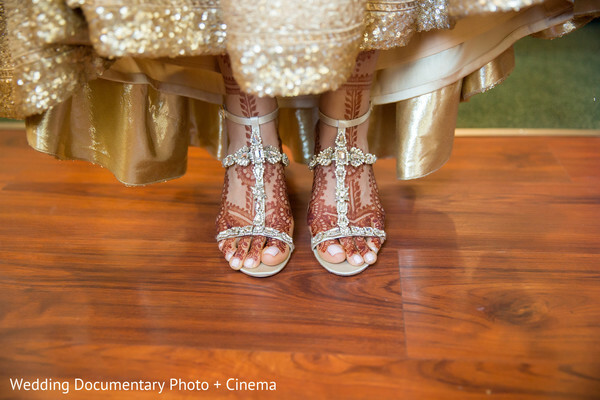 All posts tagged with "Indian wedding shoes"
The multi-talented Wedding Documentary Photo + Cinema unveils a spectacular Indian fusion wedding wonder coming to us from right here in Northern California! 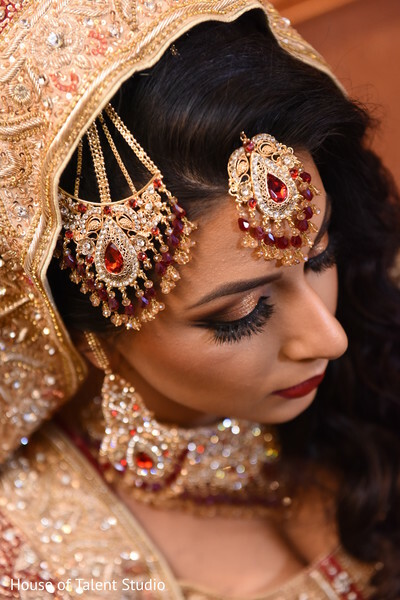 Before we take you to the nuptials where Vintage Carriage Company kicks off the baraat, we are going to give you a peek at our gorgeous bride getting ready for her big day. 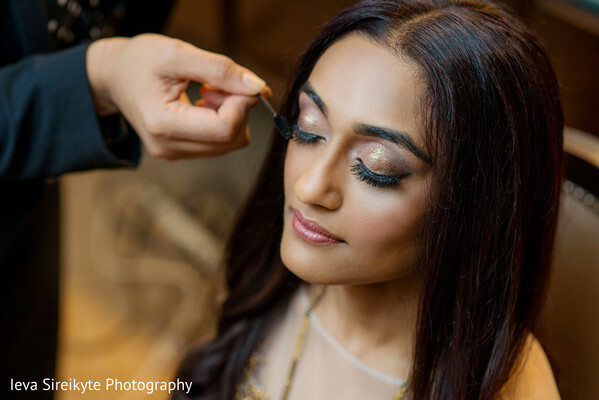 All dolled by hair and makeup maven Laenka By Myrium, Maharani Sipra looks amazing! Shimmering gold and beige-toned shadows accentuate her pretty, brown eyes and a cabernet red lip provides a bold and sultry finish. 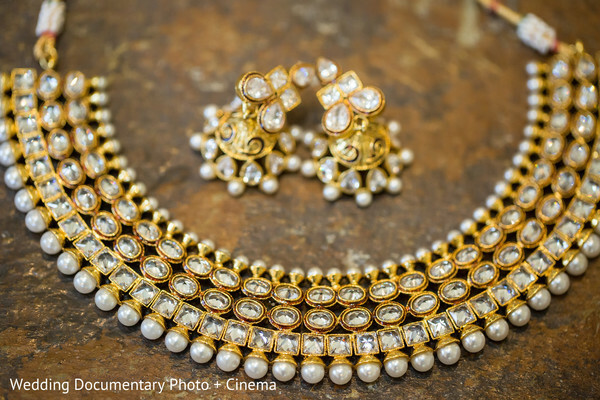 And, she truly could not have picked a more fitting collection of gold jewels. 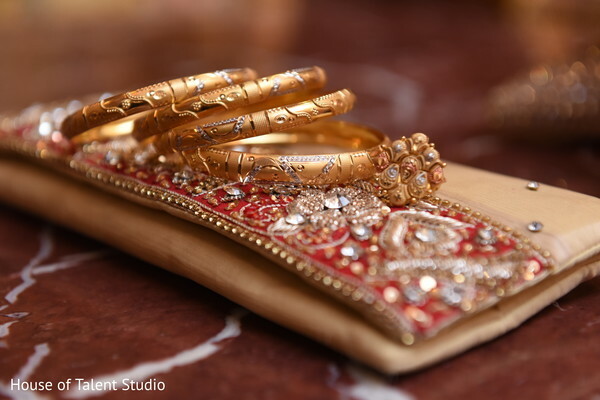 Her gold necklace is a perfect match to the embroidered border of her red lengha choli—by Vama Designs. 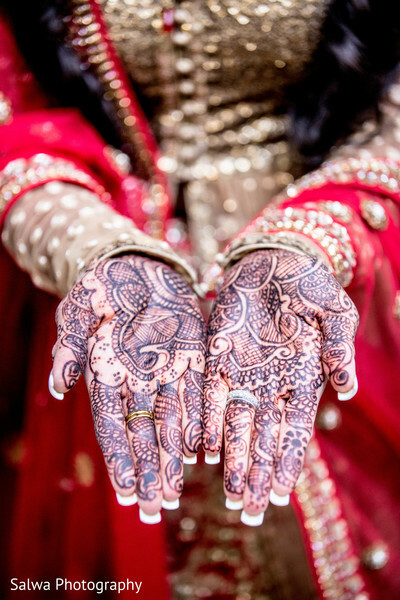 Our bride-to-be is alluring from head to (mehndi'd) toe! 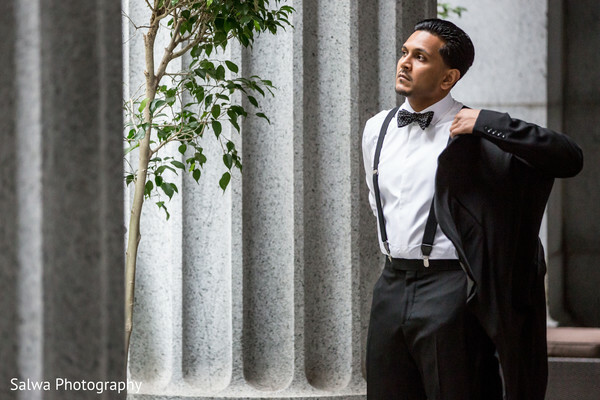 We've only begun to show you all the pop and pizzazz of Sipra and Kevin's fusion affair, including mouthwatering treats by Madhuban Indian Cuisine, but meanwhile, browse the gallery to see this couple's first look photo session! 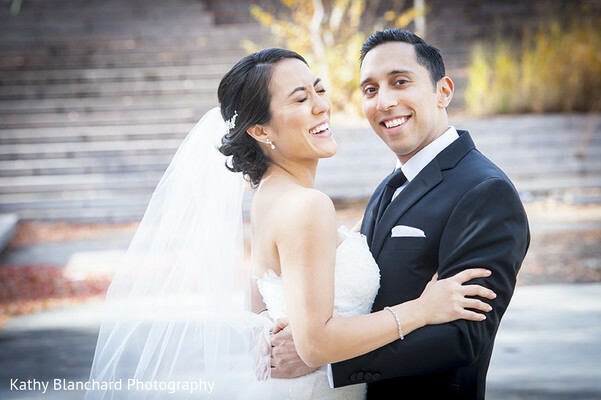 "I met Kevin in July 2011, one month after I moved to San Francisco. I was not looking for a relationship at the time as I had just moved and was focused on my new job and making friends in a new city. I went to watch the Women's World Cup Soccer Final with a friend who had also invited some other friends, one of them being Kevin. He mentioned he had lived in St. Louis and that he played tennis and caught my attention as my hometown is St. Louis and I grew up playing a lot of tennis! The next day he messaged me on Facebook and asked me to play tennis and that's how it all started! "I knew he was the one by the way I could not stop smiling and laughing when we were together. He is kind, genuine, and one of the most positive people I know. I could be 100% myself and he loved me just the same. I also love traveling and have lived in 3 continents so he had to pass one more test: was he a good travel partner? We took our first international trip to Cambodia and Thailand and he passed the test with flying colors and I knew he was the one." The traditional ceremony shots are coming right up! 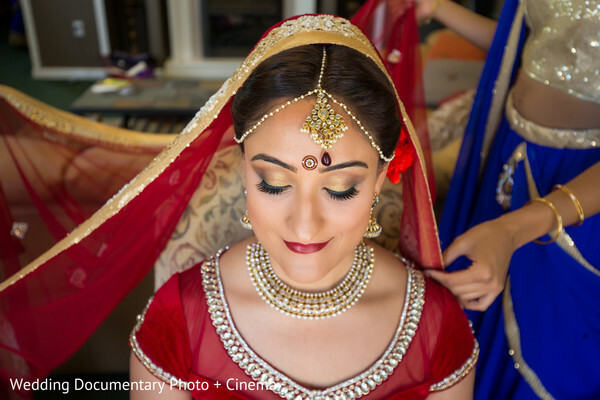 Wedding Documentary Photo + Cinema, Vintage Carriage Company and Vama Designs Indian Bridal Couture are members of the Platinum Guide. Love what you see? Explore their portfolios. 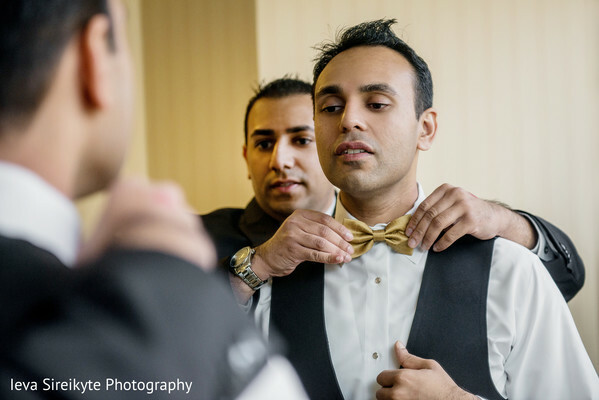 Following their regal Indian wedding ceremony, it's time for Sejal and Daniel to get all decked out for their swanky reception at the Sheraton Mahwah Hotel in New Jersey! 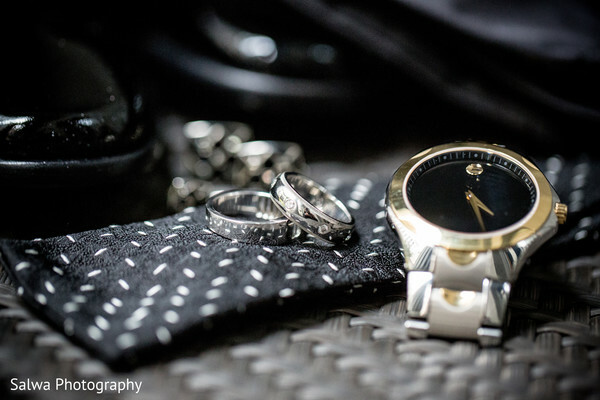 From the makeup to the fashion, Ieva Sireikyte Photography shows us that this couple is swimming in style from head to toe! The talented Flawless Beauty by Pauline gives our Maharani glittery gold eye makeup, a muted mauve lip, and lets her hair down in loose, luscious curls! 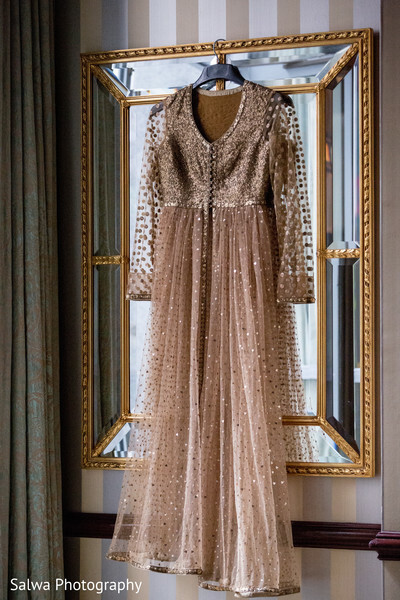 She looks so graceful in her sparkling gown! 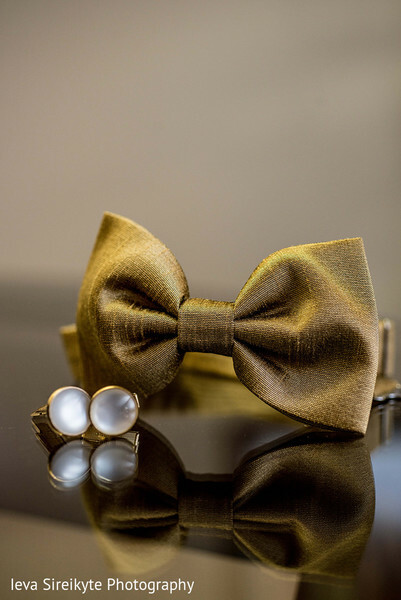 Her lifelong partner in crime is quite dapper in his black suit and shiny, gold bowtie! These two are ready to party, which you will see very soon, but for now, click through the gallery for more fashion fun details! 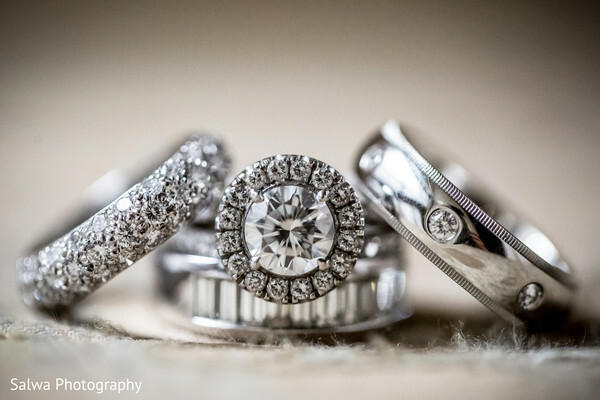 ChocaL8kiss Bakery, Flawless Beauty by Pauline, Studio Nine Photography + Cinema, Ieva Sireikyte Photography and Moghul Caterers are members of the Platinum Guide. Love what you see? Explore their portfolios. 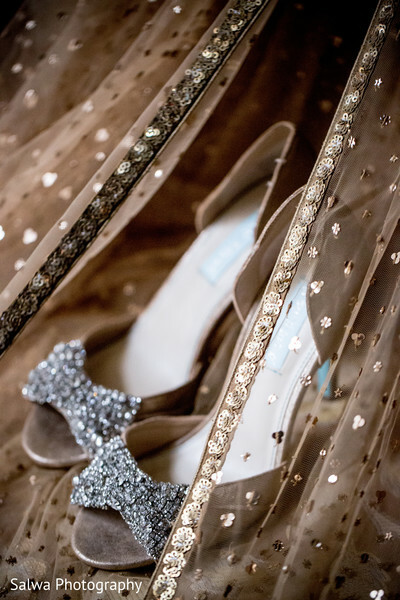 Pack your bags because we are off to New York for this quaint Pakistani-Muslim wedding! 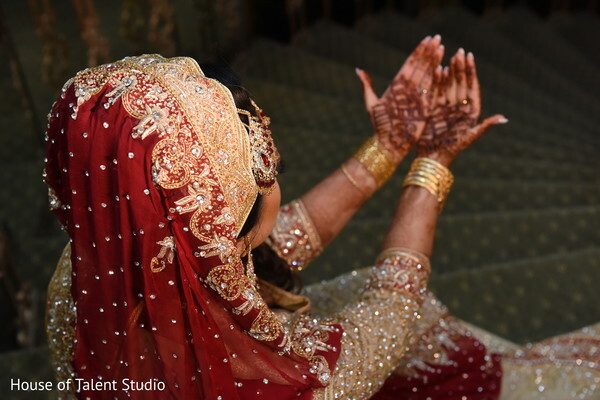 House of Talent Studio takes sensational images of Maharani Ghazala getting all primped up for her big day! 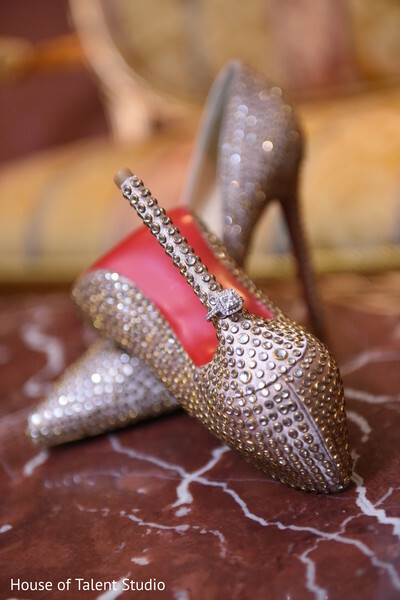 From the studded red bottom shoes to the gold and ruby jewels, every detail spells P-E-R-F-E-C-T-I-O-N! 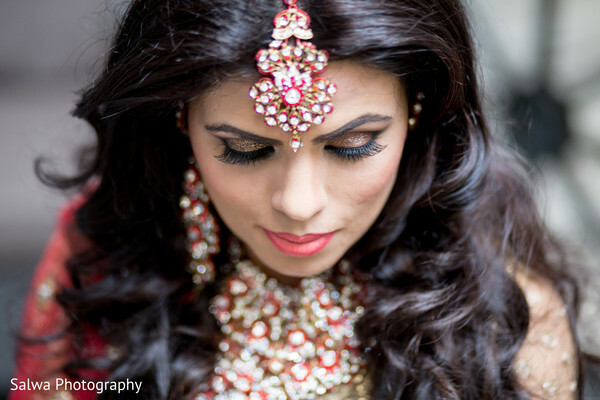 I am just dying over the stunning jhoomar and tikka she has on! 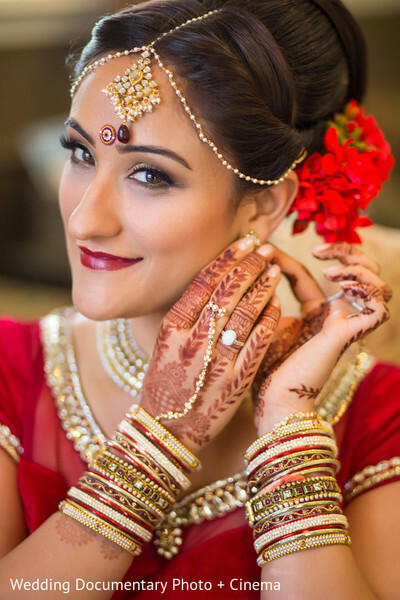 If her makeup is any indication, this bride is definitely bold. Beauty By Tamanna gives her dramatic eyes with shimmering gold, bronze and chocolate eye shadows along with luscious lashes and bright red lips. 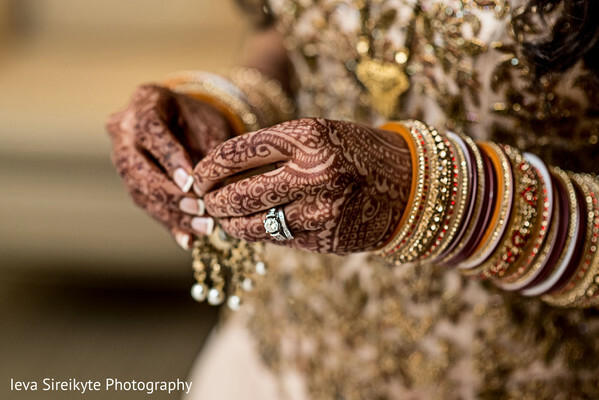 Her two sets of gold bangles look gorgeous on her henna'd hands—designed by Mehndi Artist Rahila! Follow me to the gallery to grab even more hair and makeup inspiration! "Believe it or not, we were high school sweethearts. As cheesy as it sounds, I really can't remember a time before I knew he was "the one." 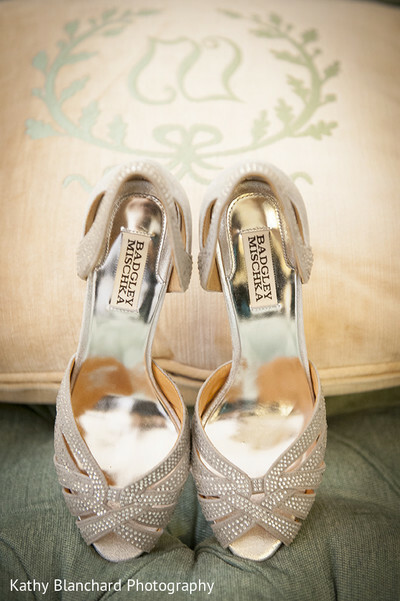 "Pinterest was my best friend during the entire wedding planning process. I started out by pinning different looks I liked. When I narrowed it down to the general look I wanted, I did a trial with my MUA and tweaked the look as I saw fit." Ceremony shots are coming up! We have a fantastic, mid-week treat for you, Maharanis! 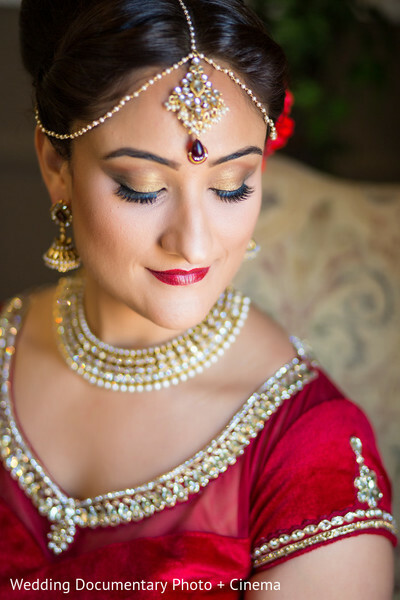 Today's beautiful bride has just finished getting ready for her much-anticipated Indian fusion wedding event in Washington, D.C. and she is showing off her phenomenal look. 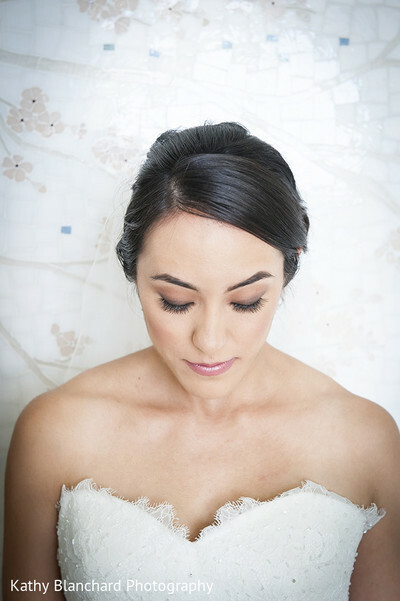 Shaune Hayes of Shaune Hayes Makeup + Hair Artists, has beautified this blushing bride to flawless perfection and her classic updo and soft, natural eyes and lips are just stunning choices to go with her strapless, Alma Novia wedding gown from Le Reve Bridal — which she's accessorizing with some glittery peep-toes from Badgley Mischka. 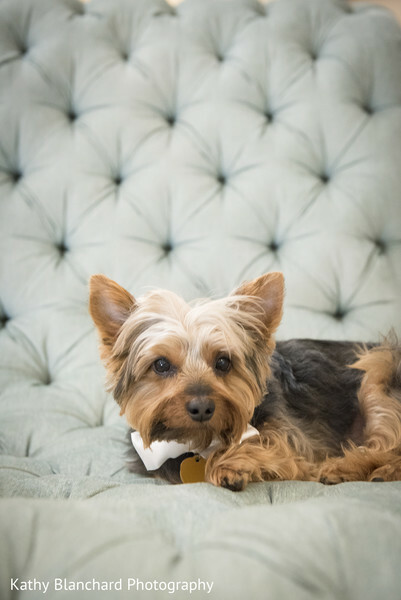 Kathy Blanchard Photography has gorgeously captured her and her handsome Raja in these amazing portraits, and it's just the beginning of much, much more to come. This celebration features inspirational floral and decor work by DaVinci Florist, reception entertainment by Planet DJ Productions, and some super sweet details you can eat. 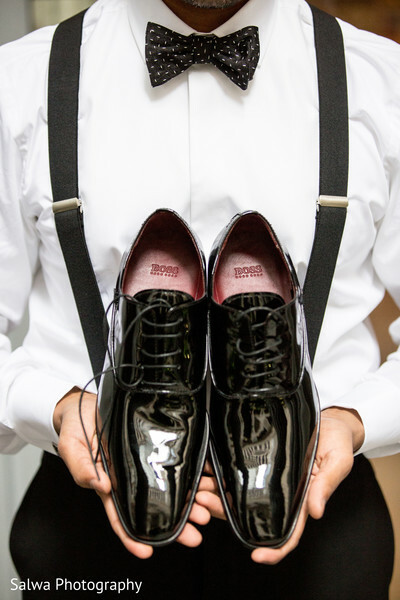 Before we can get to all of those romantic and rich details, make sure you check out some of the amazing wedding stationery by The Dandelion Patch in the full gallery. 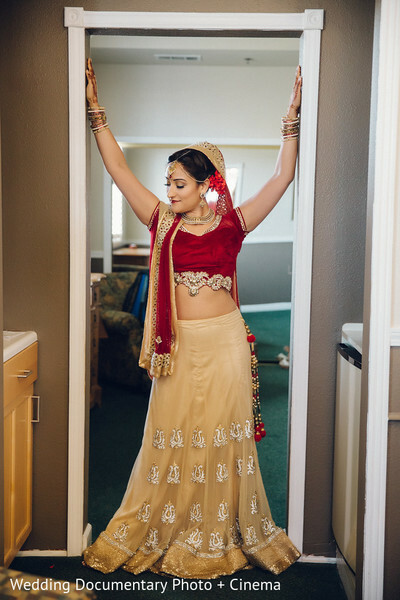 See this blushing bride's traditional Indian wedding lengha, next! 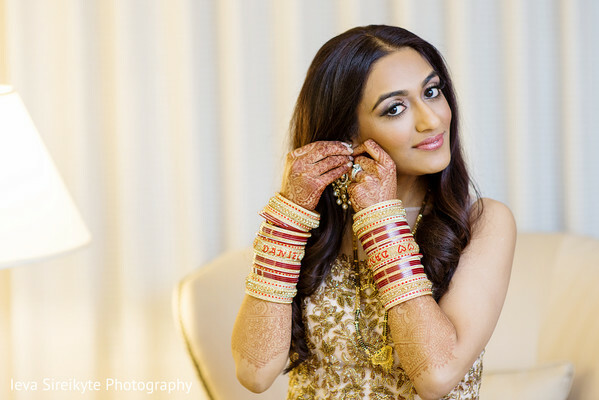 Salwa Photography and Jas Motion bring us an amazing Indian affair that takes place in none other than the Big Apple-New York City! 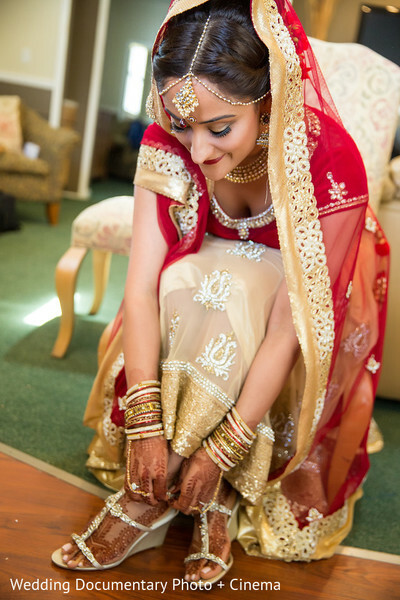 Brace yourselves because you are about to get a glimpse at one of the most stunning Maharanis ever as she gets ready for her big day! 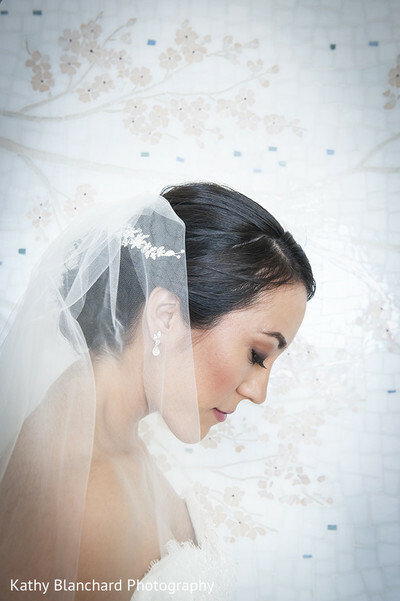 Choosing the right hair and makeup artist for your wedding is a make it or break it decision, but for this bride, the choice was easy. 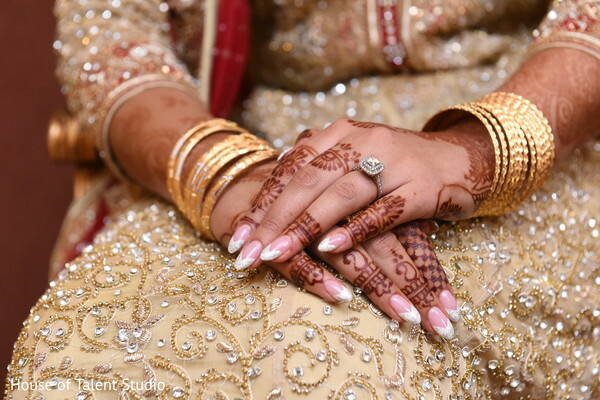 She decided to go with SophistiCut Salon & Spa, who also dolled her up flawlessly for her engagement party in 2013. Now that's a loyal customer! I see why because that voluminous hair style is fierce! And I will never stop going gaga over a good glittery shadow! I must add that Maharani Sonal sure knows how to accessorize. 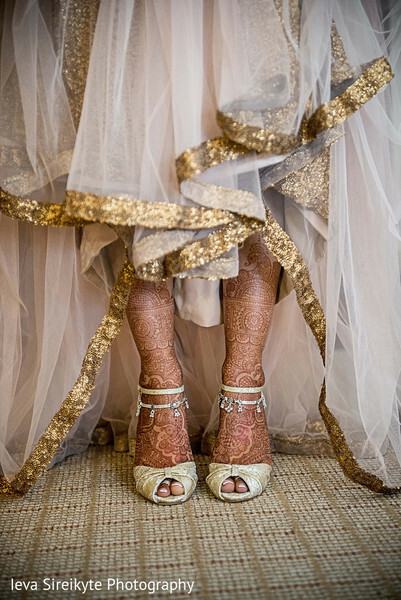 Her ruby tikka is blingtastic, and those champagne-colored peep-toe shoes are too cute with those darling bows made of rhinestones. 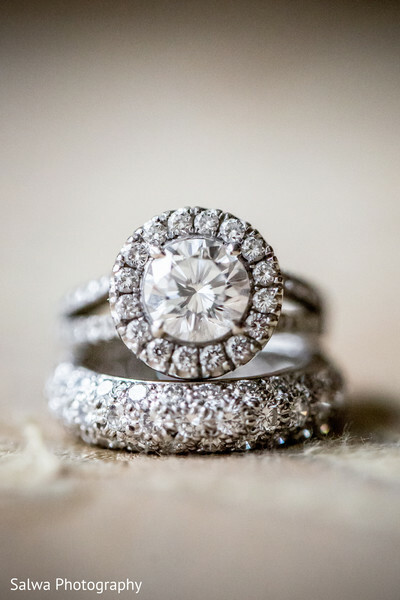 And whoever chose her engagement ring and wedding band has first class taste! 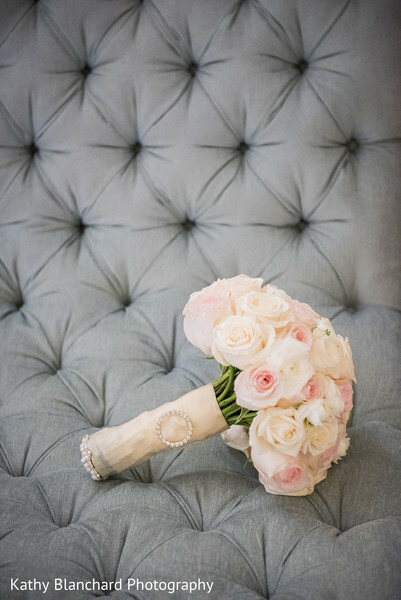 There's so much more to come, including fabulous decor by floral masters Design House Decor! Oh, and did I mention that the meticulous Royal Charms Inc. planned and designed the entire event?! 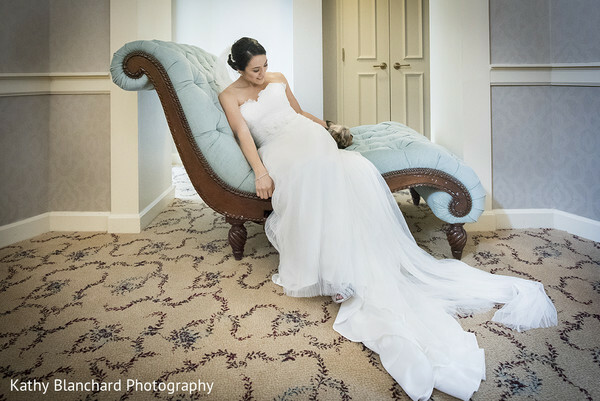 Until then, see more getting ready images in the gallery! 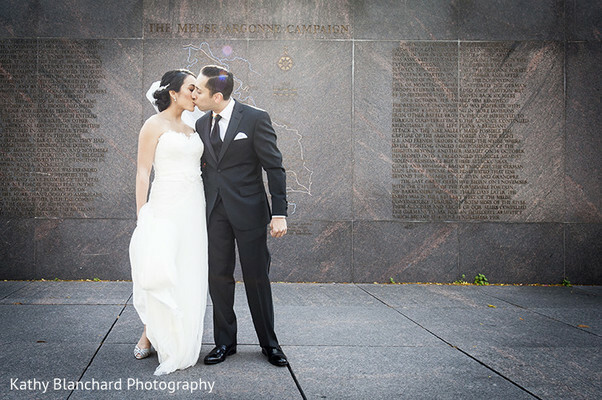 "All credit for my hair and makeup for all my wedding events go to Ms. Farida Naseem from Sophisticut. Mostly all brides-to-be book various trials with several makeup artists to get only the best for their big day. 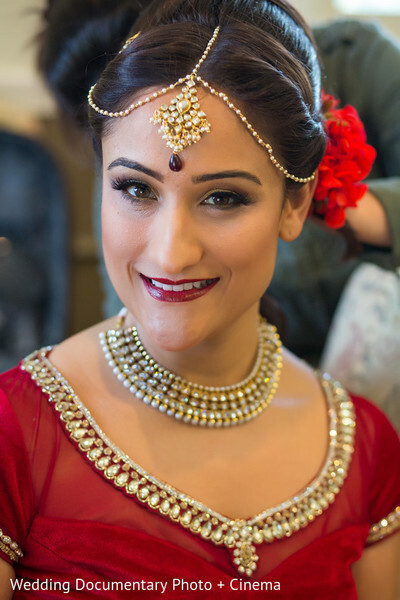 I basically took a leap of faith when I booked Ms. Naseem to do my hair & makeup without any trial for my engagement party in November 2013. She did such a phenomenal job on me for my engagement party that I knew she was going to be my go-to makeup artist for all my wedding festivities. 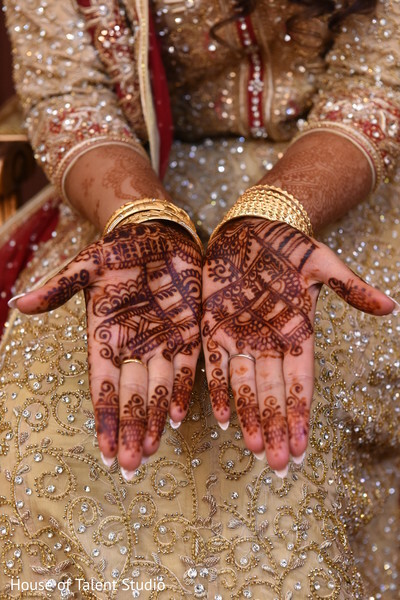 She created a different look for my mehndi party, for my ceremony day, and for my reception day. What I love about her is that she actually listened to me and took my preferences into consideration, as I am very particular about shades and colors and contouring. She transformed me into a doll!" 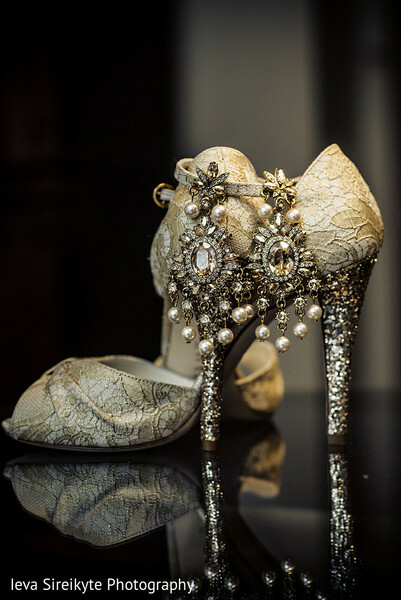 Design House Decor, Salwa Photography and Royal Charms Inc. are members of the Platinum Guide. Love what you see? Explore their portfolios.